-IHOP, you can find them all over! It IS international after all! P.S. 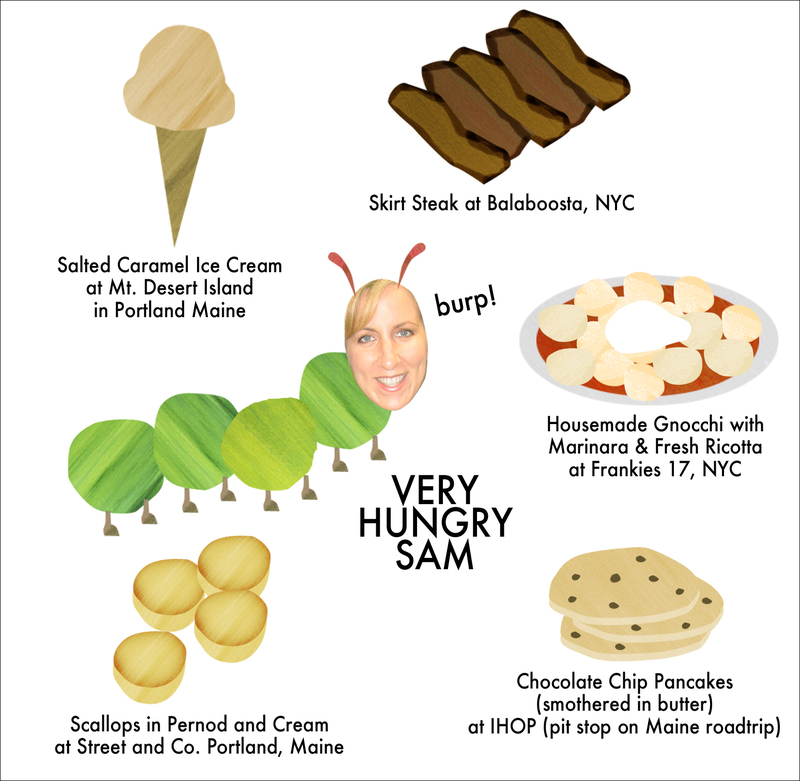 I am now obsessed with Salted Caramel ice cream and on a mission to find some in NYC. HELP ME! Umm I do not see "Veggie Pita from Souvlaki" on this list. An accidental omission I'm thinking?! Let me know when you find salted caramel ice cream...or you can make a sam salted caramel ice cream sundae...using the best vanilla ice cream, and the best caramel sauce sprinkled with some maldon sea salt? what do you think? salted caramel ice cream in cranford! who says we don't have good food in the suburbs! oooh, maybe i'll make there one day! and i DEFINITELY think there is GREAT food in the burbs! one of my favorite pizza places in the world is in my hometown Wayne, NJ: Vinnie's Pizzarama (love the name, right? ).